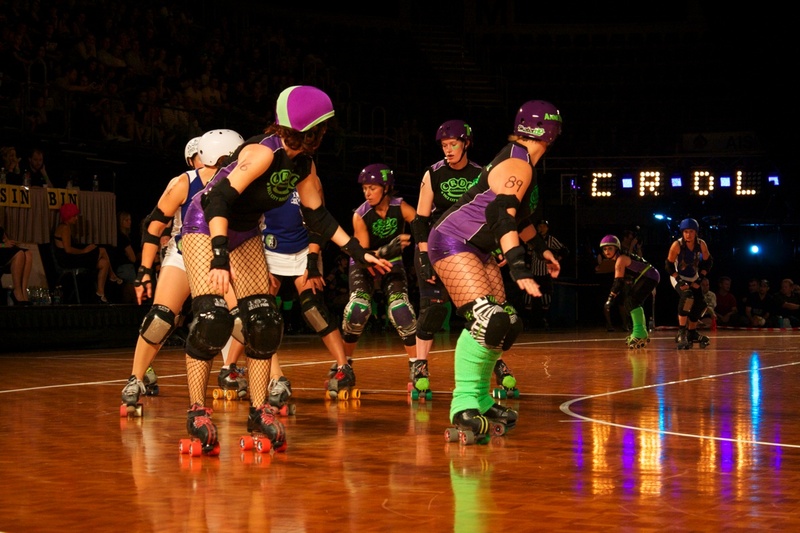 The grinding of ball bearings and the dud-dud-dud sound of rubber against a polished wooden floor means one thing: roller derby. 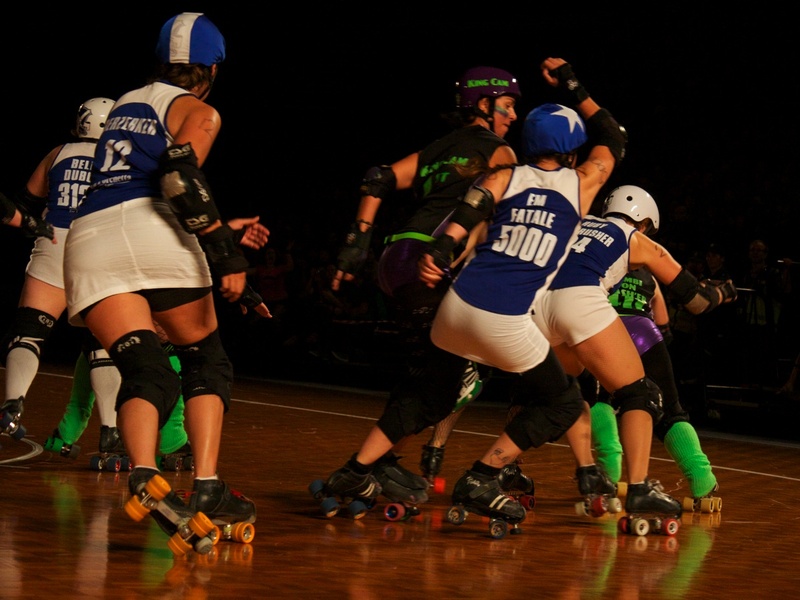 Tonight was Skate Fatale, with the CRDL Vice City Rollers against VRDL All Stars. As people were filtering through the gates, a band, Annie and the Armadillos plays out classic and easy-listening tunes. They really belong in a hazy lounge club where they serve martinis that shine in the dim light. After a few songs, my friends point out that we are among the few people who have initially braved a place in the suicide seating area. Which is weird, because its why we rushed to get in so early. This does not bode well. 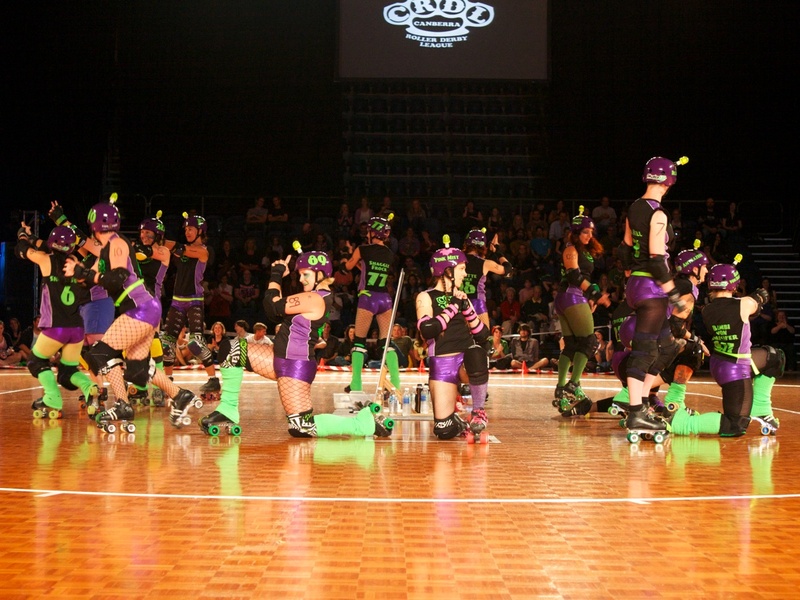 The girls come out onto the rink to warm up as the more people filled the seats. The band gives their closing song and the girls disappear to make their entrance. With the entrance and introductions out of the way, the game begins. 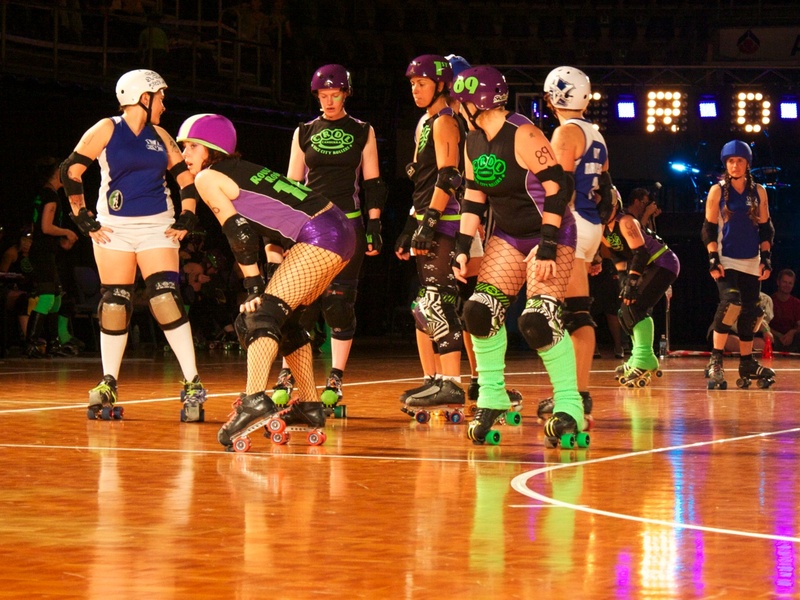 From the beginning the All Stars pretty much controlled the circuit, effectively blocking the Rollers’ jammers at every available opportunity, while let their jammer through. 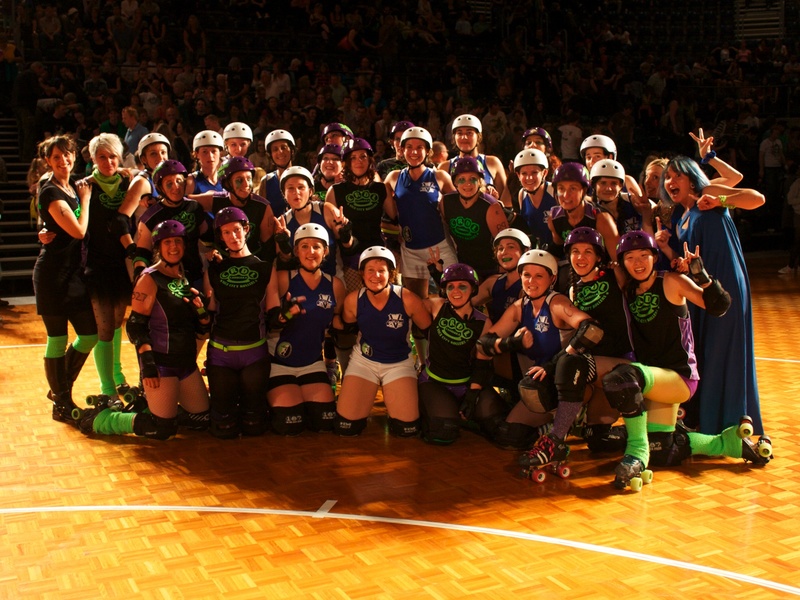 At halftime the score was 17 for Canberra and 105 for Victoria. 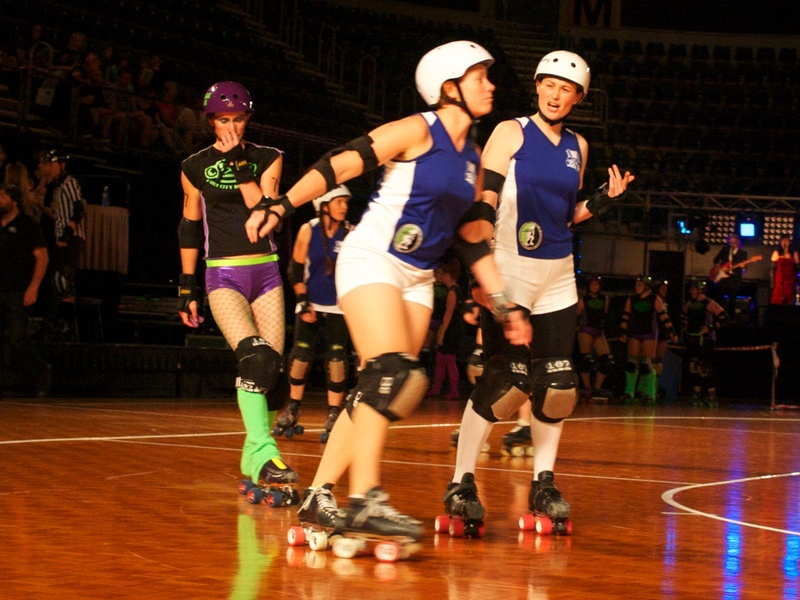 The Vice City Rollers stepped up their strategy in the second half, the pivots becoming more aggressive to breakup the tight-knit wall of All Star defenses. This was not enough to close the margin. 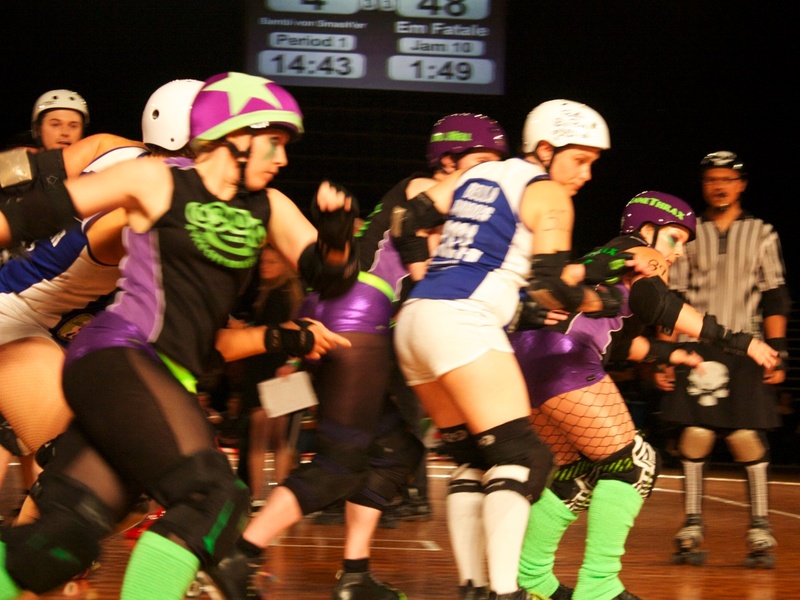 The final score when time ran out: CRDL 67 VRDL 166. The crushing defeat for the locals. Not as many photos this time around. The battery was fairly low. 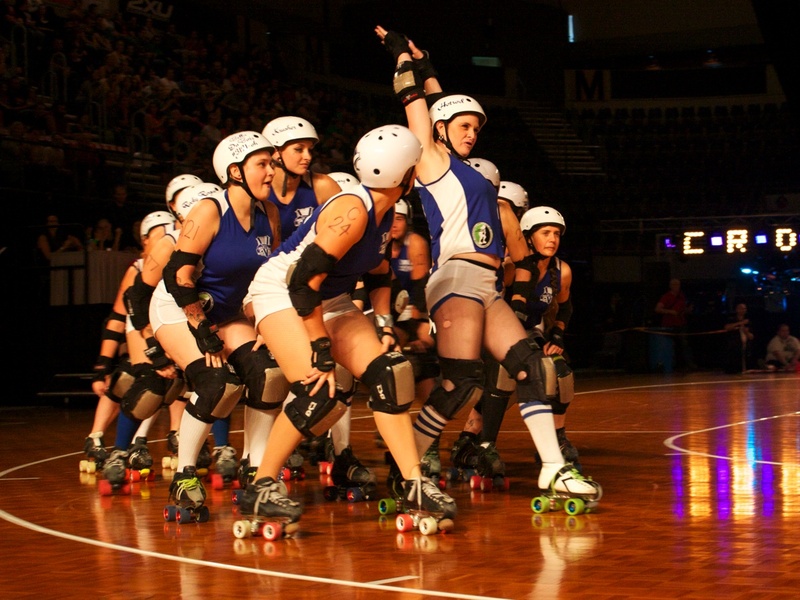 This entry was posted in sports and tagged events, photography, roller derby, sports, weekend. Bookmark the permalink.